It appears the upcoming mobile game Dragalia Lost is making its way across to the west, with Nintendo of America announcing an exclusive Mobile Direct Broadcast will air on 29th August at 8:30pm PT / 11:30pm ET, which means 30th August at 4:30am BST / 5:30am CEST. Dragalia Lost, Nintendo's first original IP mobile game is coming soon to U.S., Japan, Hong Kong and Macau. Service begins in these territories on Sept. 27. A release date outside of these regions has not yet been confirmed. Dragalia Lost was originally revealed in May following Nintendo's acquisition of the Japanese studio behind the release, Cygames. The developer has a long history with mobile games development and is best known for the card game Shadowverse. 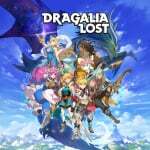 Dragalia Lost takes inspiration from various JRPGs and has a bold anime look. If you missed it the first time around, take a look at the trailer above. Can we get a regular old Direct already? European release date? And can I even hope for a regular Direct this month or early next month? Oh great, Europe shafted as usual. Thanks Nintendo. Interested to see where this bold new direction takes them, especially considering their previous mobile flops. Where is Mario Kart Tour already? Well, that both looks and sounds brutally uninteresting. Seriously speaking this all seems to be leading to a full on direct. First Smash, then indies, more indies, mobile game and we still need information on the online service which means another direct is due in two weeks max. So many directs will surely end with a real one right? I'd be excited but Nintendo Mobile is a sad joke thanks to their availability/region-locking problems. Good games, pathetic availability. Guys, the Direct is actually today - 29th August, not 29th September! That confused me for a sec! Nintendo seem to be having difficulty keeping two balls in the air let alone three. @Alber-san no cause all those small ones are stealing the thunder from a real one. So Nintendo's pretty much going to announce every type of Direct except a general Direct then. Oh nice! Why not also for switch eshop? This actually looks great. Not bashing the game, but is it really big enough for its own direct? I guess the FEH game is fairly successful, but this just seems out of place to me. It's too bad the game doesn't look like the artworks. It would have really been beautiful instead of FF9 HD looking. Oh, good. I wanted to hear more about this! This looks great! Action JRPG on the go? count me in. My iPhone is just 32 gb hope it doesn't require more than 1 gb space. Actually touch controls are great for turn based RPG's not so much for ARPG though. This looks great. I don't play mobile games, so it's a pass from me, but from where I sit, saying 'it looks like a mobile game' isn't that much of an insult these days! @GrailUK Directs are addictive, what can I say? Chibi and mobile... not likely to be played by me, but I hope it's successful all the same. @ThatNyteDaez Yep. Most of the world seems to think Europe for some reason does not like games or want games... Or want to buy games for that matter. I know we're a smaller share than America but still... Can't possibly be THAT small. It's not like we magically have a lower percentage of gamers. Regions aren't really that different, most people like the same stuff in 2018. We also all want physical games. Most of us, anyway. For Dragalia, specifically, I don't see why they'd release it in NA and not EU. They legit need one language ready, English. It's ready since they're releasing in NA. Heck, they even announced their servers are shared between regions... So you get on the same server regardless of region. Well that trailer was kinda useless. Though it looks like they are going for a "Mana" look and that's ok, but how is it played? Slash with your finger like Fruit Ninja or rapidly tap the screen or bluetooth controller? These mobile games need controls shown. Is the game rated M? Not sure why they'd put the Direct on so late in the US, 8:30PM to 11:30PM. It kind of reminds me of the game Zenonia. The game will flop hard if it isn't free-to-play. Can someone please drag this mobile gaming ideas behind the barn and shoot them twice ? Nintendo is drumming it up. I love how just yesterday I saw people complaining about how Directs have slowed down in the post-Iwata era. Between the two indie, the Smash one, this, and the likely general/online one coming up we're getting flooded. I'm excited! This game looks promasing! I hope the direct throws in a couple other mobile games as well. Interesting and looks more promising than Pocket Camp (I'm so over that game). Would be nice to get English though and since this is a Nintendo of America tweet, maybe it'll get full English voice acting (with the option for Japanese). At the very least, English subtitles please! I will just stick with FEH most likely. It is the only Nintendo mobile to keep my interest so far. Pocket Camp was a huge letdown, but I expected as much. Looks good, but I hope they have digital buttons. Rather than slide to attack controls. Hmm...I might tune in for this one since it's guaranteed to be short, plus I won't be at work for a change. Show us Canadians some love, please Nintendo! Whata bout Mario kart tour though? Guys, I just noticed that not only is this game co-developed by Cygames, but that Nintendo bought the studio, as well. Cygames is responsible for the Uma Musume mobile game and they produced the anime of the same name. Special Weekend for Smash confirmed!